Need any IT Volunteers? We have plenty.. 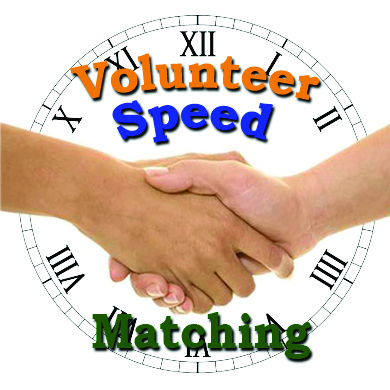 Does your organisation want to take part in Volunteer Speed Matching? Want to help 20,000 Rotarians in 2014? Welcome to the December issue of The Voice of Volunteering. The Centre for Volunteering has appointed Gemma Rygate to take over from current CEO Lynne Dalton on March 3rd 2014. Lynne has been threatening to retire for some time but has now decided that the time is right (though she probably won’t be retired for long!). Lynne will remain at The Centre for one month after Gemma commences to make sure there is a smooth handover. Gemma Rygate, MA, BEd, DipTeach, MACE, AIMM has over twenty-five years' experience as an executive, manager, consultant and facilitator across both public and private sectors. 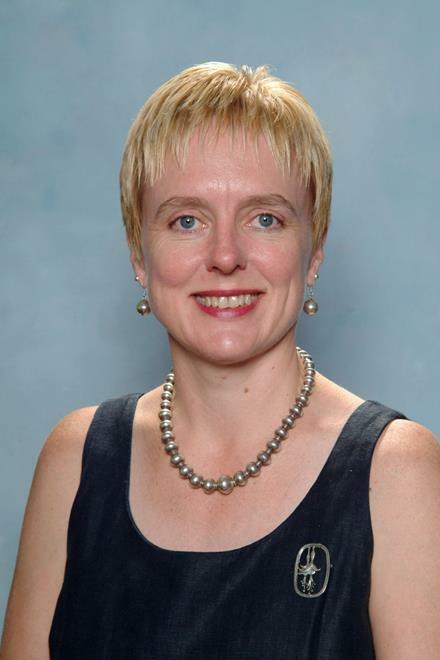 Prior to taking up the role as Chief Executive Officer of The Centre for Volunteering, Gemma held the position of Executive Director, National, of the Institute of Public Administration Australia from July 2011 to January 2014. Throughout her career Gemma has been actively involved in business and educational administration. She spent many years as Department Head in secondary education and she has worked as an educational consultant for Company B Belvoir and the Sydney Opera House. She has facilitated workshops ranging from Ethical Decision Making to Public Sector Administration, for groups locally and abroad. Gemma has been involved in assessment, convening and managing a state wide assessment team for over 10 years, as well as acting as a volunteer in Cambodia for more than 10 years. Along with her IPAA National role, Gemma held the position of Manager, Business Development for IPAA NSW and Manager of the Public Sector Management Program for NSW. Gemma has extensive experience in leadership and financial management, and a special interest in project management and strategic planning. Fido is a service for members of The Centre which assists them to find volunteers for a wide range of skilled positions. The Fido Help Desk column in the Saturday and Monday editions of the Sydney Morning Herald is available for members to advertise volunteer vacancies which may require a specialist or particular skill and therefore priority is given to positions requiring specific qualifications and experience or certain skills. The Fido column includes specialist positions requested by members through the Fido website and positions which are listed with our Volunteer Referral Service (VRS). Where members request us to advertise less skilled positions in Fido, we prefer to list them on the VRS rather than with Fido as the Fido column is aimed at readers seeking skilled opportunities. Only if there are no skilled jobs available for listing will less skilled jobs will be considered. However Fido lists all its vacancies on its website and details of positions are also emailed to over 2000 people registered on the website to receive our weekly e-job bulletin. Have you lodged an Expression of Interest for running a Time Banking program through your organisation? Simon Watts, Manager of Volunteering at the Office of Communities will lead a discussion about how the program works and give run down on the successful pilots that ran on the Central Coast. The Volunteer Referral Service would like to advise all our members that we have considerable interest from the community in volunteering in IT. We find that the positions we have are usually oversubscribed and that we receive more enquiries for these roles than there are job. Of particular interest is IT support, Web Design and Content and Social Media Management. When listing the roles, it is important that clear information is provided regarding the skills and experience IT volunteers required in order to perform the role successfully. We look forward to assisting you with these specialised opportunities. The idea of running a volunteer recruitment event based on speed dating is a fun and exciting way of introducing new volunteers to your organisation. The Living in Harmony Volunteer Speed Macthing event will have similar elements to speed dating, including a fast-paced environment with a short first ‘date’ for you to make a lasting impression before the bell sounds. We think you’ll have a lot of fun and meet a lot of new and eager individuals from all walks of life (including university students, professionals, recently arrived migrants, retirees, etc.). Potential volunteers with an array of skills, experiences and interests will be in attendance and keen to hear about volunteering opportunities and how they can get involved in their community. We are running a brief survey to find out what you are seeking from our social media channels. Do you want to hear more aabout volunteer management? Or perhaps you'd like to find out more about the kinds of organisations that use volunteers? Whatever your area of interest, we'd love to hear about it! Dominic has been involved with the Property Industry Foundation (PIF) over the past 7 years and is incredibly passionate about supporting youth at risk. His involvement is supported by his manager at Lend Lease including time off to attend the various committee meetings and events. The Property Industry Foundation was established in 1996, when industry leaders joined forces to help grass-roots charities that provide services to homeless and at risk youth. Their vision is to unite the entire national property and construction industry in an independent initiative to support community programs aimed at youth homelessness. Once of the major reasons Dominic deserves to be recognised for his volunteering is the depth and continuity of his involvement in assisting youth at risk. 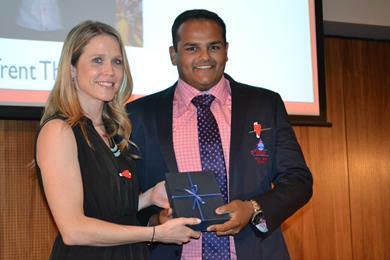 One of the main programs supported by PIF was conceptualised and brought to life by Dominic. Dominic devised The “Property Blitz Street Sleep” to give as many young professionals a ‘real life’ experience of the issue of youth homelessness to raise awareness, raise funds, drive support for you at risk and to get young professionals involved. The inaugural ‘Street Sleep’ has raised almost $100,000 for the Salvation Army, Open Family and Parramatta Mission. He was also instrumental in establishing a dollar-for-dollar matching commitment from the PIF Board of Directors for the funds raised by Property Blitz, PIF’s committee for young industry professionals. Dominic’s volunteer work showcases the innovation and initiative that he has taken to develop awareness and funding for the causes he is passionate about! 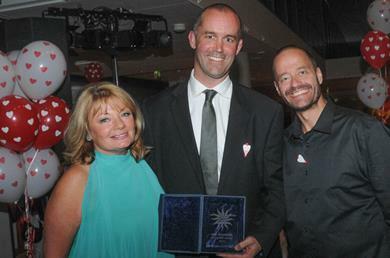 Trent Thomas has been who has been volunteering at Surf Life Saving NSW for ten years. Trent’s commitment and dedication to surf lifesaving across all levels of the organisation has proved himself a role model to other members of the organisation and the wider community. Trent is a valuable member of SLSC (Surf Life Saving Club) who has shown his commitment and dedication to surf lifesaving across all levels of the organisation. He is a role model to other members of the organisation and the wider community. Trent has undertaken significant work through not only his specified roles across the organisation but through the extra work engaged in by Trent for the pursuit of a more successful and sustainable Surf Life Saving movement. Trent has contributed to five key areas of Surf Life Saving at various levels of the organisation. These five areas are; Administration, Education, Lifesaving, Member Development, and Organisational Development & Strategy. Trent’s involvement is focused on the aims and objectives of the organisation. He is particularly focused on the provision of life saving services to the community in an accountable and sustainable fashion. As part of a very active and experienced team at Maroubra, Trent has seen the areas of junior development flourish, retention rates of junior surf lifesavers improve, patrol strength and capability improve significantly, competition numbers of juniors and cadets grow, financial sustainability and accountability reformed, member services improved and club facilities improved. “Now why are you interviewing me? What’s all the fuss about; I’ve done nothing but live my life!” These words spoken in a beautiful English elegance all of its own mystified me. This outstanding woman whom I’d heard so much about wondering why she was so special! Well after a mere hour of chatting with her, I knew she was most definitely an amazing woman. Not only has she made it through to an astonishing ninety-nine years of age and is still going strong, but she has shown throughout these years a remarkable and continuing passion for helping others. This kindness for others shown through her countless years of nursing, and dedication to ‘mothercraft’ where helping new mothers adapt to the pressure of the great depression whilst raising a new born was so desperately needed; as well as volunteering with Wesley Dalmar house and even now at the Wesley Rayward centre in Carlingford. 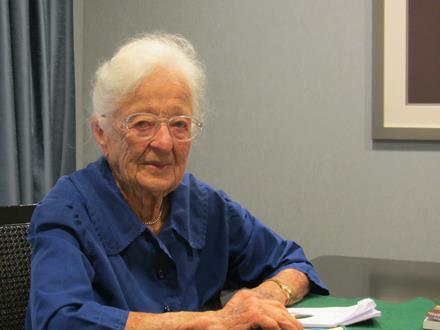 Born 1914 in England, Betty was surrounded with family and friends. She came to Australia and proudly lived through the great depression. She professed to live a simple life in depression, everybody was the same, and each maintained a veggie patch sharing what was needed. War was rarely mentioned in her community. As a child she was given 24 pennies’ a week; with a very matter of fact tone she stated “if you didn’t have two pennies left for the train you’d walk to school!” A sacrifice she made quite often, ice-cream being the more important expense than transport! She spoke candidly of her work as a nurse at the Prince Henry Hospital during the War, her time there being referred to as ‘four years hard labour’; although a few stories did leave a smile on her face. Many nights she woke to see a ring of “big ugly toads” (spoken with absolute disgust) surrounding the camp light, “I didn’t want to wake anyone so I kept my screams inside!” she joked causally. Betty also studied obstetrics at King George hospital, adding to her countless years and practically a lifetime of helping mothers, babies and children alike. Helping others is clearly in her blood, her father a soldier, also trained young men at university for the battlefront; and her brother who also shared this love for helping others; a fifth year medical student until he was tragically taken by pneumonia at twenty three years of age. Once married in her early thirties, Betty settled down to start a family with her soul mate, George. I asked of memories of her husband George; of whom she effortlessly spoke of with words so clearly taken from a memory well passed in time; tainted with a heart heavy from a love now lost from her side. Sharing the sweet story of how they first met, having their beautiful children and countless years of bliss together as a family. Once their children were all grown up, Betty and George moved to the Alan Walker Village; the Wesley Mission Aged care facility in Carlingford. She proudly notes she and George were the fourth to occupy a unit, and George was the first male resident of the Alan Walker Village! Once settled in, Betty decided to put all efforts into volunteering with the children of Wesley Dalmar House; during the mid 80’s she volunteered at ‘the library’, the old dairy now converted into study hall for the children at Dalmar. Each child received a tutor in the hall and was given one on one help with homework, study, as well as art class, sewing skills and other activities; Betty describes her time there as “a friendly simple thing”. She was fondly known by the children as Aunty Betty 2 alongside her good friend Aunty Betty 1. She continued her voluntary service for almost ten years until all the children were living out of Dalmar house and the program had closed. Betty continues volunteering with Wesley Mission to this day; she still lives very close by in the Alan Walker village and comes over to the Wesley Rayward to play scrabble and help the residents with their skills. It may not seem like much but this simple effort brings so much joy to the residents’ hearts; allowing them not only an afternoon of fun but someone to talk to, someone to listen to their stories and share in their lives. I am truly grateful to have had the opportunity to meet Betty; my time with her was most certainly not long enough to comprehend her amazing life of service, kindness and dedication to helping others. Thank you for sharing your story Betty! If you have a volunteer or volunteer program you would like to highlight, please contact us. Have some research and evaluation gaps in your organisation? Or just don’t have the time? Why not attend Macquarie University’s Social Research Internship seminar on Friday the 14th of February from 10am to 3pm to find out how Macquarie University’s Sociology Department can support you and your organisation. Students’ abilities aren’t just confined to literature reviews, but can also include program evaluations, policy related research, quantitative and qualitative research methods. The seminar will include a discussion about the scope of the internship program and communicate to you the expectations in relation to student placements. Looking to have fun and learn more about volunteering? Join in the Volunteer Speed Matching event, organised by The Centre for Volunteering and part of the 2014 Living in Harmony Festival. Speed matching events are a unique opportunity for participants and organisations to come together, share knowledge and network. In an exciting and fast-paced environment, participants engage with a broad range of organisations and are therefore able to increase their awareness of the types of organisations with which they may like to volunteer. 2 Sessions between 10am and 4pm as well as entertainment throughout the day. Where: Lower Town Hall, Druitt St entrance, Sydney. Wheelchair access to the venue. The Living in Harmony Festival celebrates the City’s cultural diversity through a range of free community events between 1 March and 31 March 2014. Events are aimed at promoting diversity and engaging community members through participation and attendance at events such as cultural days, forums, workshops, exhibitions and festivals. Registration is now open for this year's IAVE World Conference. With delegates from around the globe, an exciting line-up of keynote speakers and presenters, and a comprehensive program, the Conference will highlight both the importance and complexity of volunteering. With the theme Volunteering – Today’s Imperative, the Conference will not only focus on current models of volunteering but importantly the future of volunteering. In an age where communication technology promotes global community interaction, volunteer effort is at the forefront of bringing about positive change. Are you getting the most out of Microsoft Office? Do you know the difference between saving a file versus a template and/or saving a copy? Do you know what shortcuts you can use and in which software they are available in? Most of us have Microsoft products which we use to conduct our business. 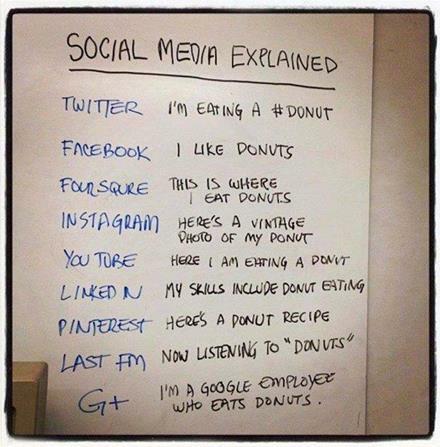 But do we really maximise the benefits of Word and Excel? Rotary is expecting 20,000 attendees at their Annual International Convention which is being held this year at Olympic Park in Sydney. The majority of attendees will be travelling from overseas so this is a great opportunity to meet, greet and direct these visitors to Sydney and help them enjoy our great city and country.